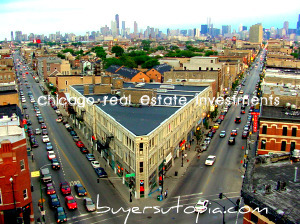 Use Ideal Locations’ Buyers Utopia search feature to search the Cook County MLS. Simply choose a town or neighborhood located in Cook County and start your quick search. You will be able to view active MLS listings that match your criteria. Click Here to view all Cook County Real Estate listings currently for sale. Ideal Location Real Estate and its team of Cook County Real Estate Agents thank you for visiting Buyers Utopia. It is our pleasure in providing this search feature to you. We service the entire Chicagoland area and have teams of agents that specialize in every area of Cook County. Cook County as of the 2000 census has a population is 5,376,741, making it the second largest county by population in the United States (only after Los Angeles California). Chicago is the principal city of its metropolitan area making up about 54% of the population of the county, the rest being provided by various suburbs, and Cook county itself makes up 43.3% of the state population as of 2000. Cook County is the 19th largest government in the Unites States. Cook County has by far more Democratic Party members than any other Illinois county and is one of the most Democratic counties in the United States. According to the United State Census Bureau, the county has a total area 1,635 square miles, 946 square miles of it is land and 689 square miles of it is water. As of the census of 2000, there were 5,376,741 people, 1,974,181 households, and 1,269,398 families residing in the county. 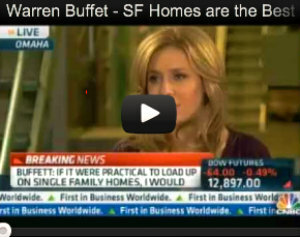 There were 2,096,121 housing units at an average density of 2,216 per square mile. The racial makeup of the county was 56.27% White, 26.14% Black or African American, 0.29% Native Americans, 4.84% Asian, 0.05% Pacific Islander, 9.88% from other races, and 2.53% from two or more races. 19.93% of the population were Hispanic or Latino. In Cook County there were 1,974,181 households out of which 30.9% had children under the age of 18 living with them, 44.0% were married couples living together, 15.6% had a female householder with no husband present, and 35.7% were non-families. 29.4% of all households were made up of individuals and 9.3% had someone living alone who was 65 years of age or older. The average household size was 2.68 and the average family size was 3.38. In Cook County the population was spread out with 26.0% under the age of 18, 9.9% from 18 to 24, 31.7% from 25 to 44, 20.7% from 45 to 64, and 11.7% who were 65 years of age or older. The median age was 34 years. For every 100 females there were 93.9 males. For every 100 females age 18 and over, there were 90.5 males. The median income for a household in the county was $45,922, and the median income for a family was $53,784. Males had a median income of $40,690 versus $31,298 for females.